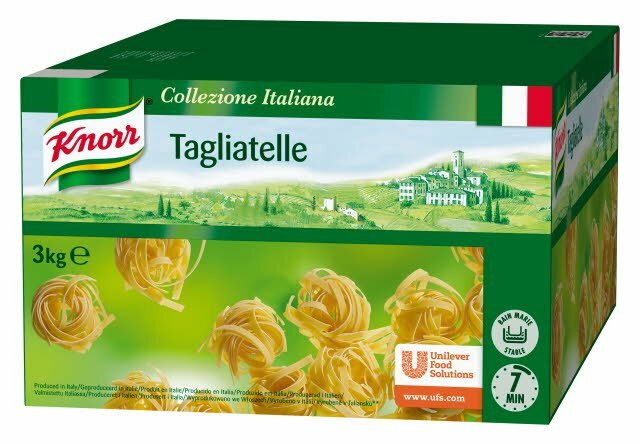 Tagliatelle ribbon pasta made from durum wheat DRIED ITALIAN DURUM WHEAT PASTA - This range has a pasta for every authentic Italian dish. - Why not use KNORR Sauces over the pasta. - Its superb quality made with 100% durum wheat and produced in Italy. Durum WHEAT. May contain eggs. Add pasta to a pan of boiling water, cook for 7 minutes or until pasta is al dente. Stir occasionally. Drain and serve.